Dr. Boyer is my Radiation Oncologist, he is very friendly, comforting, sweet and gentle. I recieved external and internal radiation treatments for 6 weeks and during this 6 weeks he was very supportive as well as his whole team. I amso happy that I was refered to Dr. Boyer. Is this Review about Martin J BOYER helpful to you? I am HER patient. (Egad! Please update the options to include female doctors!!) Kara's specialty is OB/GYN and she is a surgeon. She is a wonderful person, warm and compassionate as well as intelligent and wise. Kara explains things as she does them and never loses sight of the reality that decisions are yours. She has been my surgeon through two gynecological surgeries. Both went beautifully, and she was great in the O.R., even gave me a visual "tour" of my uterus using the high-tech monitor. I feel both comforted and empowered in her presence. I only wish I found her back when I was birthing babies. Her staff is wonderful, too! Is this Review about Kara Ann FLAHERTY helpful to you? Dr. Travers is the best doctor I have ever known! He has an excellent gentle, yet calm bedside manner. While he is knowledgable and trustworthy, he also has a sense of humor that comes in handy from time to time. He possesses the ability to listen and tries to meet your requests if he can while balancing what is best for you the patient. He has been in practice for over 20 years in the Capital Women's Care Center. He delivered our 7 year old daughter while I was the tender age of 40, one month shy of 41. He also preformed my hysterectomy in Dec. 2006 while giving me the best possible surgery I could have asked for. Is this Review about Charles Kenneth TRAVERS helpful to you? I've been seeing Dr. Reid G. Pierce for approximately 10 years & he is absolutely wonderful! He delivered both my children. He is extremely easy to talk to & unlike some doctors he actually takes his time with you & not rush through your visits. I am scheduled for a hysterectomy this month (jan. 07) and am confident that he will take good care of me. I would recommend anyone around that lives around this area to go to him. Is this Review about Reid Guyton PIERCE helpful to you? I highly recommend Dr. Daniel Smith. He is an excellent and caring infectious disease doctor. I recently had an infection due to infected mesh in my abdomen and had to have surgery to remove the mesh and infection. Dr. Smith made sure I understood the medications I was on and also noted the types of medications I was currently on and what medications I should stay away from that would cause a reaction. I was very impressed by this, as no other doctor has done this. If you need a caring, intelligent, infectious disease doctor, Dr. Daniel Smith is the one to call. Is this Review about Daniel Jay SMITH helpful to you? Is this Review about Neil BLUMENTHALL helpful to you? Is this Review about Francis Youngjin KIM helpful to you? Is this Review about Karen Marie NELSON helpful to you? Is this Review about Richard Stuart MARGER helpful to you? Dr. Kristie Blessitt is a wonderful doctor. She performed my hysteroctemy. My worries were put at ease by her. She explained my problem and also answered any questions I had about my situation. I did not feel like a number to her. She has scored a "10" in my book for being a great doctor. I would recommend her to anyone. My experience with her was top notch!!! Is this Review about Kristi Lynn BLESSITT helpful to you? Is this Review about Joseph Martin HEYMAN helpful to you? I have dealt with gynecological difficulties since the age of 14. I have tried all different forms of birth control and medications to try to deal with them. I began seeing Dr. Blair about five years ago on the recommendation of a friend, and have never looked back. She is the first person who I truly felt took my pain and frustration seriously, and wanted to help me get through it. I would recommend her to any woman looking for a caring and compassionate physician. Dr. Blair has been a God send in my situation, and if I can help someone else by referring her, then I most certainly would do so! Is this Review about Donna BLAIR helpful to you? Dr. Phibbs is the most caring and knowledgeable doctor that I have ever encountered. He gave me hope and made me feel brave in a time that I really needed to feel that. I was back at work and at 100% four weeks post op of a radical hysterectomy with the removal of my lymph nodes. Dr.Harsany, has been in this business for over 33 years. The tests he performed to find out why I had the symptoms that I had, were right on the money, and he could have done them blind folded...he is very good at what he does. He is very patient, trustworthy, and comforting, I would recommend my only daughter to him in a heart beat. When the results were in he told me the options and left the decision totally up to me. When he answered all of my questions, I made up my mind on the treatment. He and his staff is very professional & very prompt in every aspect of the medical world. He is very thorough in explaining and performing the treatment. I had adenomyosis, and I chose to have a TVH. I would strongly recommend him to any female in need of medical treatment. He has a great bedside as well. My husband also really liked him alot. Is this Review about Robert Milton HARSANY helpful to you? Dr. LaGrand is the best! He performed a laporoscopic supracervical hysterectomy on me in August 2006. Then, a tracheolectomy (cervix removal) in November 2006. He ended up doing an emergency surgery for me after the Nov. 06 surgery and literally saved my life!!! He did it with such grace, comfort and compassion. I truly love him! He made me feel safe and was so confident and competent. He is the best! 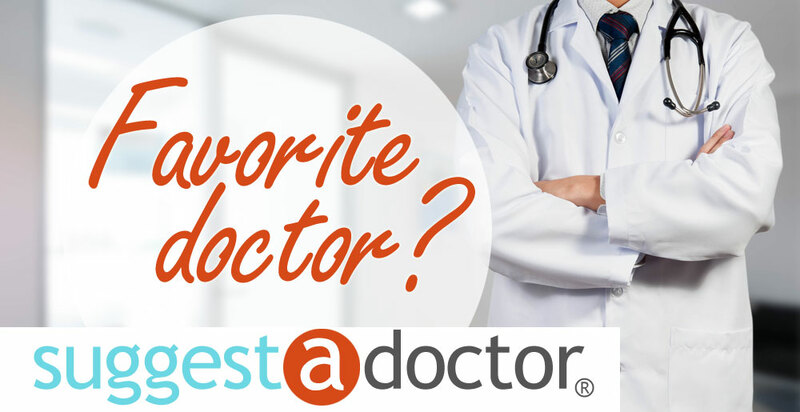 If you need a dr. that you can trust, who knows what they are doing, and genuinely cares- he is the one!!! I actually cried when I was released from his services because I was completely healed! I was ecstatic to be well physically, but so sad that I wouldn't need to see him again! He is that good!!! Is this Review about John LAGRAND helpful to you? Dr. Stewart is the BEST OBGYN Surgeon! She is moving from Boston to Minnesota in 2007--they are very lucky to get her! She is an OBGYN/Endocrinology with expert surgical skills! Trustworthy, smart, a very caring bedside manner and diligent. If you are in need of Fibroid treatment-definitely choose her! Is this Review about Elizabeth STEWART helpful to you? Is this Review about George Louis MAYER helpful to you? Dr. Neeld is a very caring and thorough doctor. He has listened to every little complaint I have and actually remembers things we've talked over the year before. If I need to speak with him personally I can, it may not be until later in the day but I get to talk to him. He has been my doctor for about 15 years now and preformed my hysterectomy in 2003. I wouldn't have had anyone else do it and he is informed about HRT and continues to monitor my HRT very closely. His staff is just as caring as he is. Is this Review about John Barton NEELD helpful to you? After dealing with pain for 7 years and seeing doctor after doctor all over the country I finally found the best.DR Hutchinson. He has taken the time to get to know me as a person and to find out what was going on with me when everyone else I have seen either said I dont know or its all in your head.Yes,I have been told that. He is caring and a very wonderful person. I definetly suggest him to you all if you are not finding answers anywhere else. Is this Review about Bert HUTCHINSON helpful to you?